The Coming New Schism within the Catholic Church? Just when you though the chaos of the 2016 Elections in the States was unusual, we are witnessing the fragmentation of society at every level and around the globe. There is a trend toward the end of one of these Private Waves and that is the polarization of groups. Yes Democrats and Republicans always fought on Capitol Hill, but the people accepted the election and moved on. This time, there are funds being raised and Obama has refused to leave Washington waging war against Trump and Jarrett is his commander and chief. Europe is polarized between left and right and the French system has completely collapsed so it has become to impossible to forecast a party since they have disintegrated into a free-for-all. During the 3rd Century, that is when Christianity really took off as well as the Christian Persecutions. There were pagans who blamed the Christians for making the gods mad and they were thus punishing the Romans. The Christians argued that the pagans were praying to false gods. Even religion went into this polarization phase. We are witnessing that between the extreme Muslim sects and Christianity right now, but we are also witnessing this trend within each religion. The Catholic Church is no exception. Pope Francis has caused a polarization among Catholics that is starting to bubble to the surface. On the one had, Pope Francis has divided the Church not furthered its existence. He has kick-started the polarization directly within the Catholic world dividing into warring political camps as we see in politics. The Pope is seen as a hero by progressive Catholics and a scourge of of the Earth by conservatives. His political statements have done far more damage to religion than most people are even willing to look at. Pope Francis is regarded by conservatives as a very dangerous man for he is embracing Marxism and the socialist agenda that subjugates the individual freedoms elevating the state first, people second. The Pope has spoken against globalized capitalism and he has even written a major encyclical on the environment. He has championed migrants in Europe only fueling the crisis within Europe and sending conservatives away from attending church. The Pope has seriously distorted being charitable with forced state action, which is not unjustified and a denial of basic freedoms. He has been embraced by socialists seeking to ex-appropriate other people’s money for their version of what the world should be. 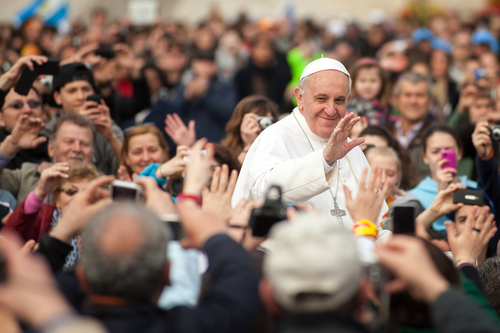 Pope Francis has emerged as the champion of “progressives” clearly in the camp of Karl Marx. This has begun to cause the Catholic Church to be identified with the progressive left and that has led to conservatives feeling they just do not fit in the Catholic Church. His comments are crossing the line between Church and State. Pope Francis seems to desire overturning the Catholic doctrine saying that the faithful who are divorced and civilly remarried lacking an annulment must refrain from receiving holy communion. In this area, he is also very progessive but has not quite crossed that line to make it official. Many fear that the Pope is looking to overturn Catholicism’s ancient and countercultural teachings on sexual ethics. This is adding wood to the fire that some see the beginning of a new schism within the Church in the future. The Vatican announced Wednesday the pontiff had accepted the resignation of Bishop Franz-Peter Tebartz-van Elst, who had reportedly spent some 31 million euro ($43 million) on a new residence and complex in his Limburg diocese in western Germany while at the same time reducing salaries for staff in the name of financial austerity. 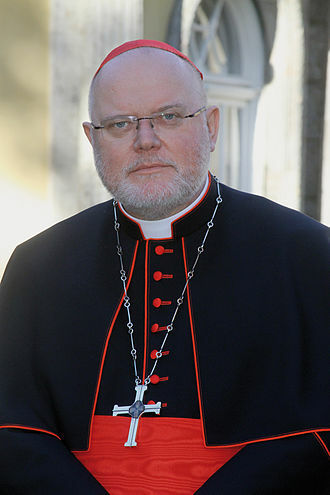 Cardinal Reinhard Marx in Germany effectively said that Catholics could not vote for the AfD. The Cardinal has helped to unbalance the Catholic Church going so far as basically offering support to Chancellor Angela Merkel, who created this refugee crisis to further her own political standing when she was criticized for being harsh of Greece. What many are not looking at is there has been a decline in Christianity became many see this an political and hypocritical on far too many levels. Some are attributing this to a new Age of Populism. Pope Francis seems to have embraced being a populist: plain-spoken, with little regard for fusty rules and institutions, and occasionally vicious with political adversaries. Strangely, these are attributes one sees in modern politicians. Will his legacy simply be that he is part of the populist insurgency we see around the world? Pope Francis has criticized Trump for his anti-immigration bans. However, if Trump is a populist, and career politicians try to dismiss, is Pope Francis a populist to the opposite side?